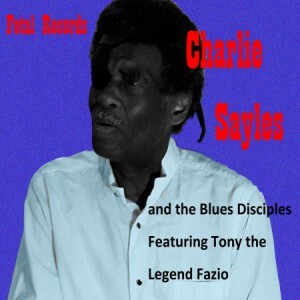 Charlie Sayles hails from Boston and has lived for years in Washington, D.C., but you’d never know it from his style of play on the harmonica. He delivers a diverse mix of sound that’s a little bit swamp, some Chicago and all the way original. Sayles picked up the instrument for the first time after listening to Sonny Boy Williamson records while serving in one of the most honored military divisions in American history, the legendary Screaming Eagles of the 101st Airborne, during the Vietnam War. But it didn’t take that conflict to teach him the blues. He knew them up close and personal as the son of a trumpet player from the rough-and-tumble Roxbury neighborhood who spent his youth bouncing from one foster home to another. He settled in Atlanta after his military discharge and started playing on the street for tips. The patch he still wears over his right eye bares witness to the troubles he endured. Life was hard, but he never lost faith while developing his own unique style of play, which features broad chords, interesting tricks with percussion and an easy-flowing movement across the reeds. Now in his late 60s, Sayles has played with a litany of diverse musical talents that include folk music superstar Pete Seeger, bluegrass pioneer Bill Monroe and bluesman Bobby Parker and appeared as far away as Shanghai and as close to home as Carnegie Hall. 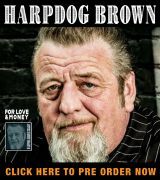 Each of his three prior releases on London’s JSP label bare witness to his diverse talent, but he’s remained pretty much in the background back in the U.S. except for funding from the National Endowment for the Arts to teach harmonica behind prison walls. A photo from one of those lessons graces the back cover of this album. Sayles handles all vocal duties here while Tony “The Legend” Fazio handles guitar and bass. A Berklee College of Music grad, Fazio’s extremely active in the D.C., area, splitting time among Charlie, The Electrofied Blues Band and Memphis Gold. Filling out the sound on this collection of Sayles’ originals are drummer Greg Phillips and Andrew Garbutt, who relieves Fazio on bass for three cuts. It’s easy to see from the material that Charlie’s a man of deep faith. The first half of this disc consists of songs that deliver a spiritual message. 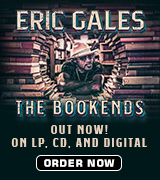 “Those Things Of Old” would be comfortable in any Mississippi juke, soaked with a Delta feel. Sayles’ words are non-denominational as sings praise for religious training. His harp play is restricted to echoing a loping guitar line before a sweet solo at the break. The message comes full force in “Jesus Christ,” a mid-tempo shuffle. Lazio’s guitar carries the tune throughout with Charlie proving with a very brief Chicago-style harp run mid-tune. The slow blues “New Day Coming” continues the theme, complete with an extended, traditional solo. Next up, “These Chains” drag the singer down, but he’s more concerned with the people around him. It’s a cautionary tale with a strong message not to drink, do drugs or keep repeating the same mistakes. The next song, “Vietnam,” is a personal remembrance of what it was like to be serving his country in a place where jets screamed like birds overhead and where you didn’t know if you were going to still be living the next day. It’s a slow blues – and by far my favorite on the disc — that tells the story of a particular gloomy Thursday afternoon with big guns going off in the distance while being in camp and contemplating life. Oddly, however, he says, the saddest part of that journey was when Sayles finally say goodbye to the mud and pain. What he experienced during a brief stay in New York City was even harder to deal with. At least in Vietnam, he could recognize his enemy. In Manhattan, they could be anywhere. “Everybody’s Got Something To Say” revisits spirituality before Sayles the launches into “Arella,” which sings the praises of a woman who really can cook. Charlie’s harp talents are on display here with a tasty intro and the first extended solo of the set. “I Don’t Want To Die” is really a complaint about the trials present in life, delivered around a brief high-register harp solo. “Laughin’ And Grinnin’” is the realization in afterthought that it might have been a mistake to party so much the night before. The disc concludes with a bit of funk in “Green Peace,” a strong statement about protecting the environment by investing in solar and wind power instead of relying on oil. Despite the religious overtones in the package, Sayles delivers his beliefs without getting preachy, and the underlying tunes are sprightly, swinging and upbeat. He’s got something to say, and he does it in a way that doesn’t offend. 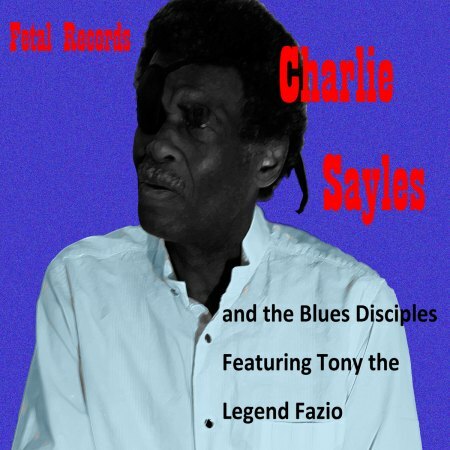 Charlie is an under-appreciated talent who bubbles beneath the mainstream, and this CD would be a worthy addition to any blues lover’s collection. It’s available through all of the major online vendors.